The music player is another capable Nokia 6220 classic application. It has a huge number of supported audio formats, including MP3, AAC, eAAC+ and WMA. The files are added to the music library by simply choosing the refresh music library option. Upon completing a USB transfer, the phone automatically prompts scanning for new music tracks and, if allowed to do so, adds the new ones to the music library. Sorting your tracks by artist, album, genre and composer is automatic and searching by gradual typing is also available. This is quite convenient for browsing huge music collections. 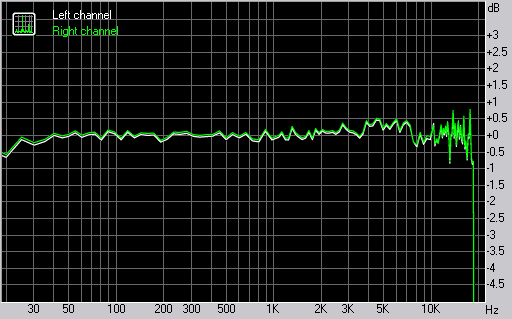 The player comes with five equalizer presets, which is a decent count in our point of view. If it still seems insufficient, you can edit them or create new ones in a matter of seconds. There are also four visualizations available: album art and three different animations. Nokia 6220 classic also comes complete with A2DP support. This means that you will be able to listen to your music on a Bluetooth stereo headset. We had no problem pairing the 6220 classic with a third-party headset. The audio quality of Nokia 6220 classic is rather good, with one of the best frequency responses we have seen. The distorion is also pretty well kept under control. The noise level, dinamic range and stereo crosstalk readings aren't great but they are not too disturbing either. Here go the results so you can see for yourselves what for a musician the 6220 classic is. Nokia 6220 classic uses a Real player. Videos can be played in both portrait and landscape mode and can be enjoyed fullscreen. When in full screen, the softkey functions are hidden so that they don't mess up the screen and only pop up when a key is pressed. The quality of the display makes video on the 6220 classic a nice experience but its size takes some back. The FM radio on Nokia 6220 classic has a nice simple interface and can automatically scan and save the available stations in your area. It also supports visual radio and RDS. It's a FP2 gallery but it's short of the fancy stuff of Nseries devices on Feature Pack 2. It has neither the swanky 3D view mode, nor the customizable slideshow. Opting between portrait and landscape mode has also been dropped, so now all the pictures appear in landscape. They can be zoomed up to 8x (if you happen to need that kind of magnification). Overall, picture browsing and zooming is really fast with almost no hanging even on larger photos.